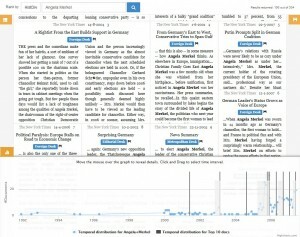 When exploring news archives, a key requirement of historians is to get an overview of their search results initially. To address this problem we developed a novel retrieval model – HistDiv – which ranks articles according to historical relevance. 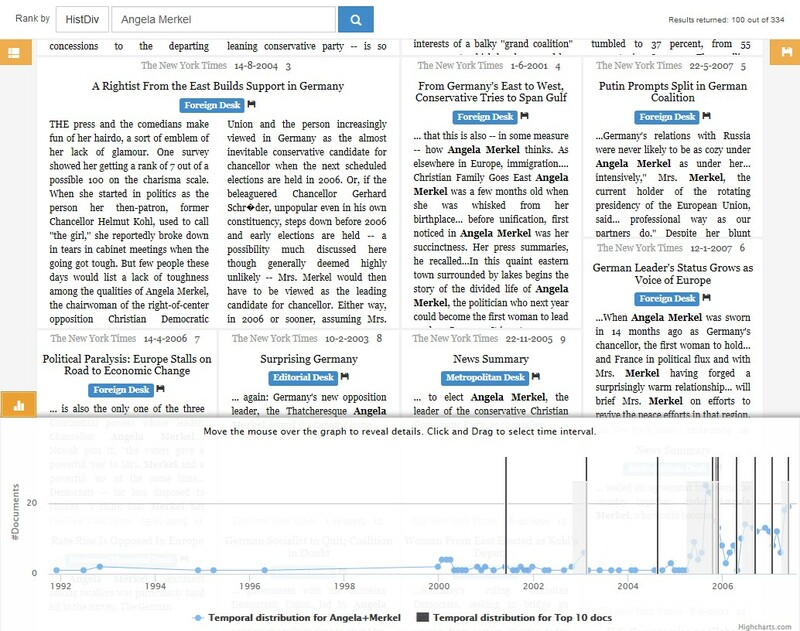 The Archive Exploration Engine (ArchEE) system was built to showcase how HistDiv and various other state-of-the-art retrieval models coupled with time-lines and entity filters can help users better explore large news archives. ArchEE also been selected as one of the top 3 startups in Lower Saxony for the 2016 Going Global competition organized by Hannover Impuls.